If like me, you’re a Great British Bake Off Fan then last weeks programme might have got you thinking about your pie making skills, or in my case, the lack of them. I have to put my hands up and say pastry is probably my weakest cooking skill and never mind the hot water pastry, I’ve never even made a savoury meat pie. Not that we’ve gone hungry as a result of my pastry failures, it’s just that I’ve always found an excuse not to make pastry or found someone else to make it for me. And, lets not forget that the Queen of Bake Off, Mary Berry has previously told us that it’s okay to use shop bought pastry. Not for the contestants though and it was back to the 19th century and Victorian times for them with the challenge of making a raised game pie. 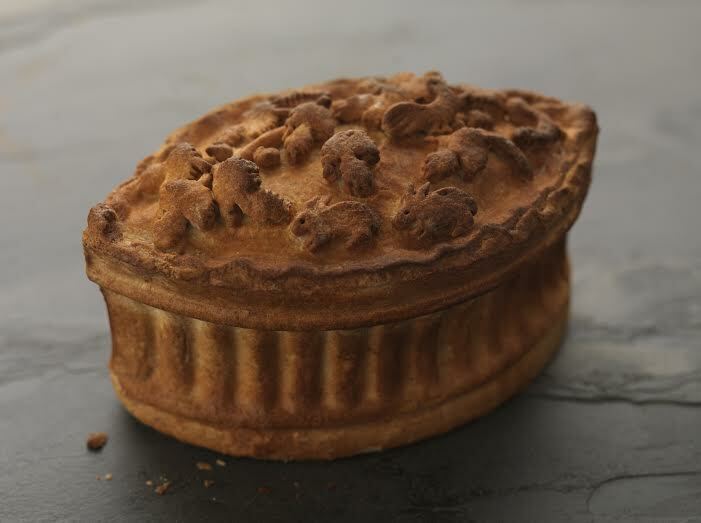 No such thing as humble pie in those days; beautifully made pies pies with fluted edges and intricate ornate decorations on top were seen a middle class status symbol. Pie was everything in Victorian times, the decorations on top of the pie being as important as fillings. Venison featured in most of the pies with some adding pigeon, wild boar, partridge guinea fowl and duck, great strong flavours and combinations along with classic seasonings such as juniper, sage and mixed herbs. But what did the judges of make of their efforts and were there any soggy bottoms in the kitchen? The thickness of the pastry was an issue for a some, meat was tough and one pie was slightly burnt around the edges. But on the whole there was praise for most especially with the pie fillings and it was interesting to see the range of tins being used to bake the pies. But what makes the perfect pie and what are the secrets to achieving star baker with your bake? Despite my lack of domestic goddess skills in pie making, I am lucky that my friend Robert Corrigan, owner of Mr C’s Hand-Crafted Pies is an expert and also an award winning pie maker. He was more than happy to have a chat to give some tips for baking the perfect pies. It was his need for a faster and more efficient way to produce his pies, that led to the development of the modern pie tins used in last week’s Bake Off programme. Robert approached Birmingham based bakeware company Silverwood with his interpretation of Victorian game pie moulds and this cleverly designed range is the result. Built to last from silver-anodised aluminium for even heat distribution and easy clean-up, they won’t rust, blister or peel and their shape and construction ensure a lovely, even bake every time. Unique removable walls lift away to uncover the part cooked pie for all round egg washing. 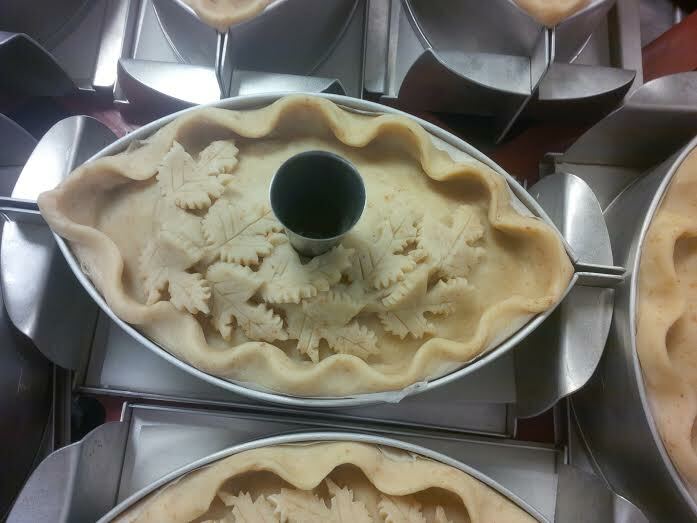 But the unique feature that makes them so perfect for traditional raised pies is the removable ‘walls’, which lift away to uncover the part-cooked pie for all-round egg washing, before returning to the oven for final browning. This means that the sides of your pies, as well as the lids, can have that lovely, shiny golden glaze so characteristic of traditional British savoury pies. I caught up with Robert earlier this week to check out the secrets to becoming star baker when it comes to pies. 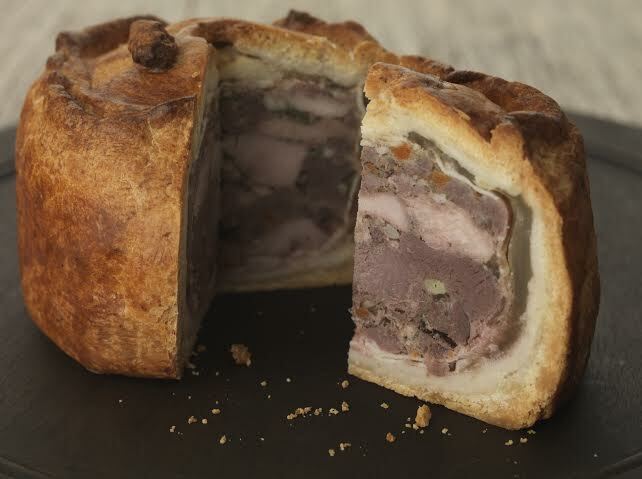 Game features in some of the pie fillings that Robert produces but over the past 7 years his range has grown to include mutton with capers, pork and chorizo, and pork pancetta and leek. He now supplies some of the countries high end food and farm shops including Fortnum and Mason in London. So, what is the secret to making a top class pie? If you’ve ever wondered , this short video from Robert shows some of the techniques he uses. Doesn’t he make it look so simple ? 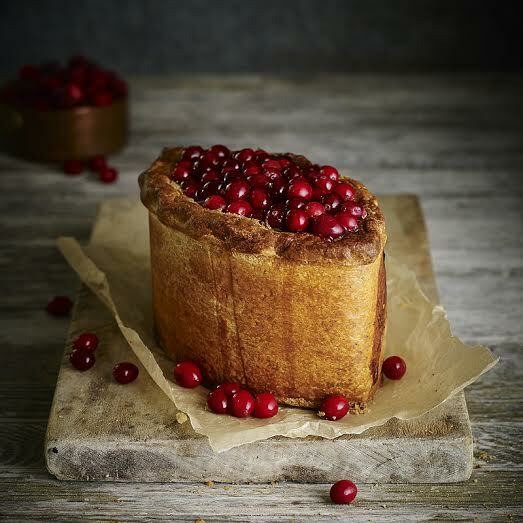 Good pastry is essential for a raised pie and hot water pastry is ideal as it can be kneaded and this develops the gluten, making it easier to mould in the tin and for the essential decorations on top. Robert uses Italian lard in his pastry, much preferable to British lard as it melts at a lower temperature, giving that melt in the mouth texture that you would expect from a quality pie. Unfortunately the Italian lard isn’t available in British shops so in the following recipes, that Robert developed for Lakeland he suggests as mix of lard, butter and sunflower oil. Next essential is the thickness of the pastry; too thick is a problem and of course a pie needs to hold it’s filling with no leakages, too thin and you have a problem. For perfection, get the tape measure out as 7mm is the recommended thickness. Then there’s the all important filling and the baking. The Bake Off contestants managed to get the quantity of filling just right but one difficulty seemed to be ensuring the meat was cooked but not overcooking the pastry. For a crisp crust the pie needs to bakes at a high temperature to start, normally 200C and then reduced to around 180C to ensure the meat is not overcooked and the pastry is not burned. 64C was the temperature they aimed for on Bake Off but Robert suggests achieving an internal temperature of 84C. Time was obviously an issue in the Bake Off kitchen as for a perfect pie finish Robert recommends a much slower approach, which to me seems sensible if you’re making at home. Here are some of those tips that will make the perfect pie. Do not overfill and watch when baking – if necessary cover with foil to prevent burning and too dark a crust. Of course his recipes are top secret but since helping develop the new tins, robert has created a number of new recipes and these can be viewed on the lakeland app and website. Recipe links on images below.